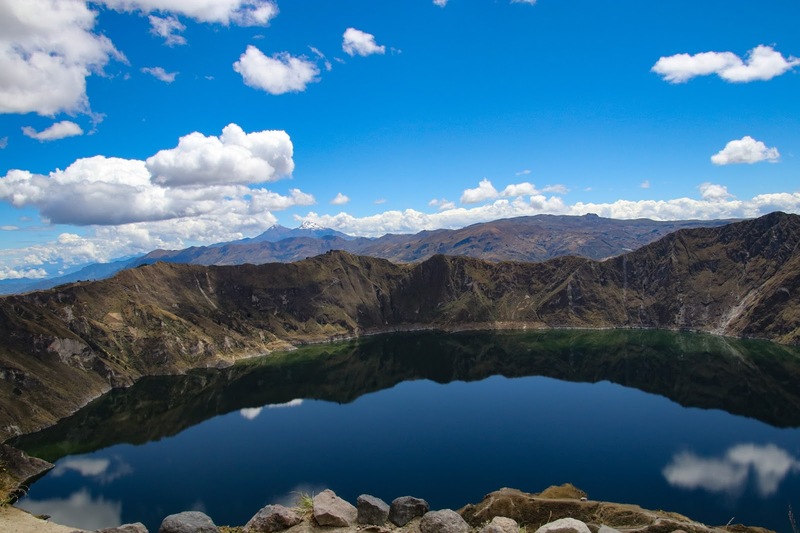 We had a 3 day weekend and it was my first chance to really get out of Quito and visit parts of Ecuador. I rented a car because of my friends I’m the only one who could drive a stick shift (thanks mom and dad!). Quick aside - I was so glad that I had had the opportunity to drive a couple of different types of stick shift cars. When I rented the car the company showed me how to/where to put gas, open the trunk, use the radio, etc. The one thing the didn’t show me was how to put the car in reverse. I’ve driven cars where reverse is on the far right. I’ve driven cars where it was on the left, where you had to push a button to put the car in reverse. I got the car home to my parking garage and I realised I had no idea how to put the Chevy Aveo into reverse. I spent 20 min trying to get the care in reverse, slowly inching towards a wall. I finally remembered I had the power of Google on my phone. Thank you Google for showing me where the tiny ring was that I had to pull up on while putting the car in reverse. We left mid morning for our 3 hour drive. It was mostly uneventful. We caravanned, which made the drive easy. I didn’t have to navigate. The only issue is that at altitude the little Chevy Aveo had even less power and climbing hills was frustratingly slow. We stayed in Chucchilán in the Andes at the Black Sheep Inn. 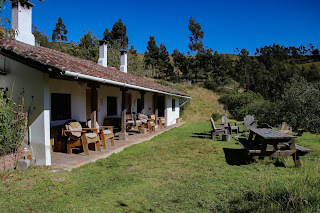 (3200 meters, 10,500 feet elevation) It was an eco hotel. Our room had 4 beds and a bathroom with a compost toilet. The room was heated by a wood stove. We had beautiful views of the mountains from our room. The food was included. It was all vegetarian fare. The food was good and all local. The bread was homemade and the cheese came from the local cheese factory. There were lots of options for how to spend our time. One group went hiking while I went horseback riding with my friend Alli and her son. We left the in and went through the high paramó (3500 meters, 11,500 feet elevation & above) is an exposed alpine grassland, mostly above the tree line.). Our guide was fantastic. He pointed out what we were seeing in the area and the mountain ranges. 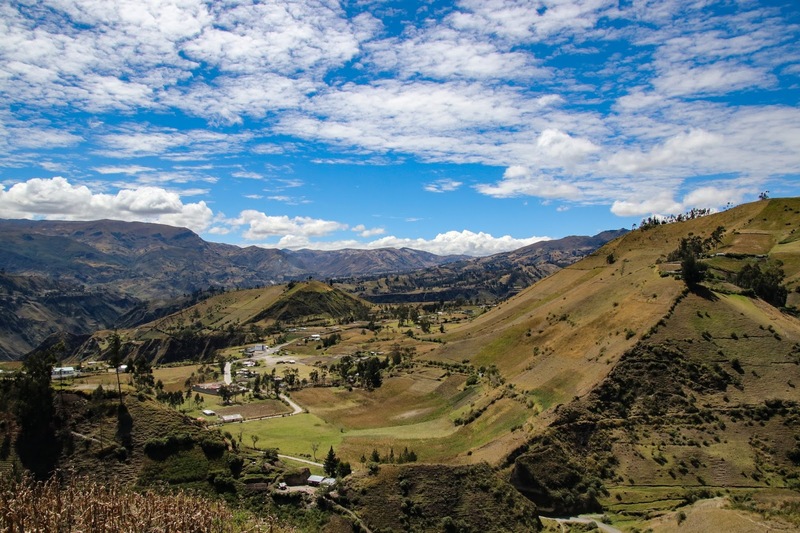 From the Paramo we descended to the jungle and cloud forest. We stopped to eat our lunch here. The Inn packed us a lunch. It was really cool to watch the clouds roll in. We then took a short walk through the forest where our guide pointed out trees, edible and hallucinogenic berries, orchids, and birds. We then road home. We spent some time cantering and trotting, which at this point into the ride (hour 3) was a bit tough. The descent back to the Inn was steep. The horses were fun to ride, but they competed for who would be in front. My horse pouted when she lost the lead and decided to stay way in the back. When we got back I had a massage. While not the best massage in the world, it was really nice. I think it’s the only reason I was able to walk without pain the next day. It was pretty amazing. It rained and then hailed when we got back. It was cold enough that the hail stayed on the ground until the next day. We left on Monday and headed towards Lake Quilatoa. 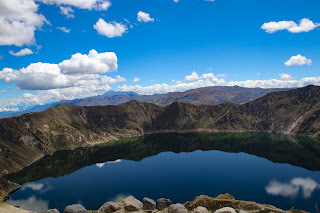 A volcanic crater lake located at 3800 meters (12,400 feet) between the towns of Zumbahua and Chugchilán. It was beautiful. We had really gorgeous weather.